Will giving driver’s licenses to illegal immigrants increase the uninsured motorists in California? California has one of the highest populations of illegal immigrants residing in the state of any state in the Union. In fact, it is estimated that the number of illegal aliens in California is somewhere between 2.5 and 3 Million (Reference: Los Angeles Almanac, 2011). After decades of debating the issue, the California legislature has decided that it would be better to allow these persons to obtain a driver’s permit and be legally sanctioned to operate a motor vehicle on the roadways of the Golden State than to continue to have unlicensed persons driving cars on our roadways. (See Los Angeles Times Article: “Historic Day as Immigrants in U.S Illegally Begin Getting Driver’s Licenses”). The question becomes: Will this increase the number of uninsured motorists on our California freeways and roads? Like any other driver, illegal immigrants are required to show proof of insurance as a pre-requisite to obtaining a driver’s license. However, like many other drivers in California, some choose to buy auto insurance prior to applying for a license and then let the policies lapse later. Whether this measure to allow licenses will increase the number of insured drivers or, by contrast, the number of persons who choose to operate without insurance or the number of people who choose low cost, low limits coverage is debatable. Presently the minimum liability protection one must purchase to be “legal” in CA is $15,000 per person and $30,000 per occurrence for bodily injury! This is hardly ever enough to cover the present and future medical expenses much less compensate for physical pain and mental anguish caused by any significant traffic collision. What is the best way to protect yourself against uninsured motorists in California? The answer to this question is simple: Make sure that your own auto insurance policy has uninsured motorist coverage! 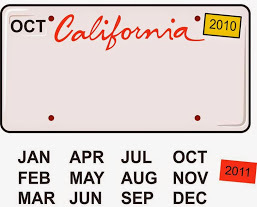 As I have blogged about numerous times, California actually requires each and every auto insurance policy sold in the state to contain both uninsured and underinsured motorist protection. UN-insured motorist (UM) provisions pay for personal injury (including medical expenses and pain and suffering) in the event you are involved in a collision with a driver operating completely without insurance. UNDER-insured motorist (UIM) coverage applies when you are hit by a driver that has a low limits policy which is less than your own limits of coverage. (For example: If the at fault driver has the state minimum of $15,000 for bodily harm and $5,000 for property damage and your own carrier has limits of $100,000 for injury and full repair or replacement value, you would be able to exhaust the $15,000 plus $5,000 limits and then seek the excess ($85,000 for personal injury and additional for car damage) from your own insurance carrier). These coverages are mandatory in the Golden State BUT they can be waived at the time of the sale of the insurance policy. Such waiver must be in writing and contain very specific language as required by the California Insurance Code. In my opinion as an attorney that represents auto accident victims in CA, I think you should NEVER waive this coverage! In fact, you should review your policy or at least the “declarations of coverage” information that is sent to you each year to make sure you have UM and UIM protection. This was always essential and now that there will be thousands more motorists on the road with the potential to have limited or no coverage, it is even more crucial to have this auto insurance protection! For more information on how uninsured and underinsured motorist claims are processed and what an experienced California auto collision attorney can do to assist in presenting these claims, click here .